They call it Route 66. You sail east, preferably north of the Bahamas to avoid the trade winds, then turn right at 66 degrees west longitude, although most experienced sailors say 65 is better. That’s how you get from the east coast to the Virgin Islands. Why can’t we just sail straight there, you ask? Because that’s where the wind is coming from. 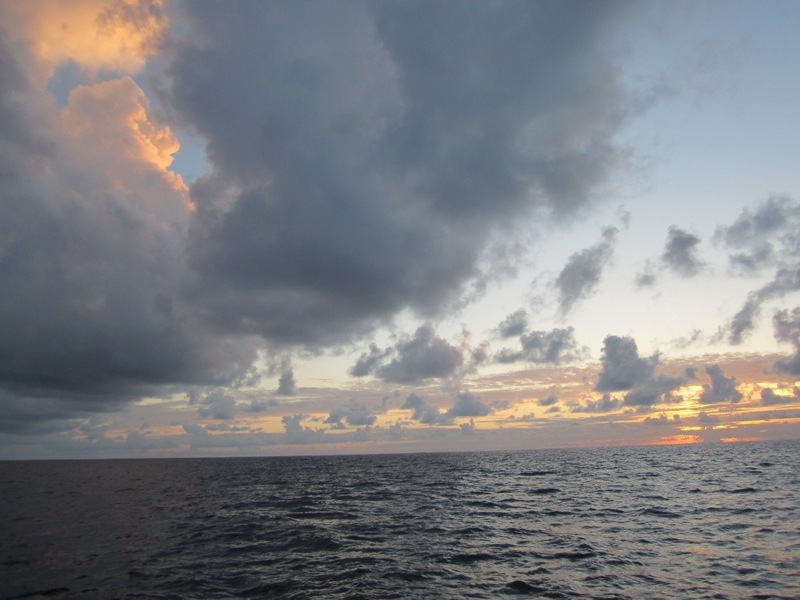 We left the Bahamas on a predicted SE wind hoping to sail eastward as far as we could get before the wind was predicted E a few days later. We figured we’d motor the rest of the way east until 65 degrees W then turn south and enjoy a lovely fast sail south to the islands. But it was not to be. The predicted SE winds were E accompanied by wind-driven waves on the nose, which meant motor-sailing into the seas and a total waste of fuel. 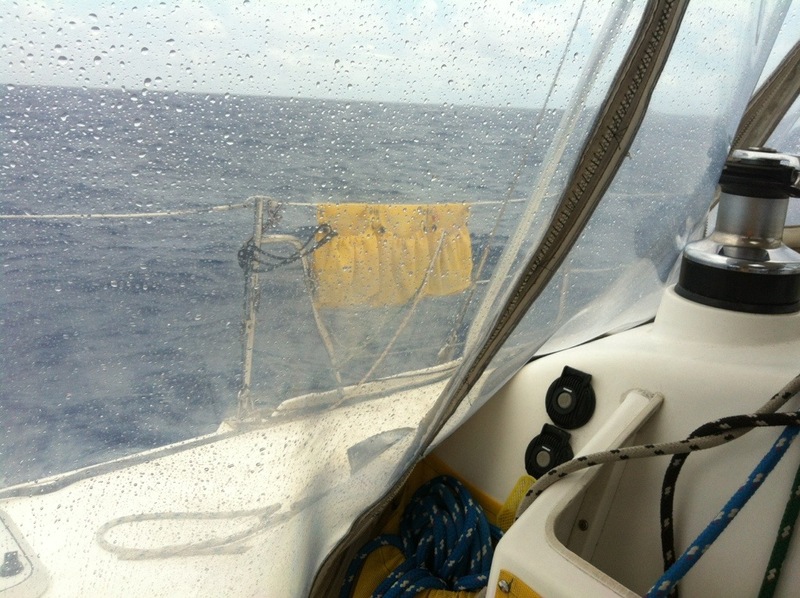 By the time we got ourselves almost to the turning point the winds kept shifting on us but the waves kept up their relentless pressure on our bow. We tried going north to get a better angle on our course. We tried going south. Nothing seemed to work and by that time we were concerned with our fuel consumption and decided to just wait for things to change, which eventually they did. Despite the winds not arriving as predicted we’ve been lucky in the weather. We’ve had a few minor squalls but mostly every day has been beautiful. Route 66, indeed! Great pictures.